When someone tells you their friend in Arizona is living in a haunted house, what do you do? If you're Ross and Carrie, you pack up your ghost hunting gear (and a carbon monoxide detector) and get on a plane. In this episode, hear about our trip to the Phoenix area to figure out what's haunting Zachary... a spirit, a gas leak, or an old relationship. By the way, you can add our RSS feed here! Tagged with Ghosts haunting, haunted house, EMF, spirits, paranormal. 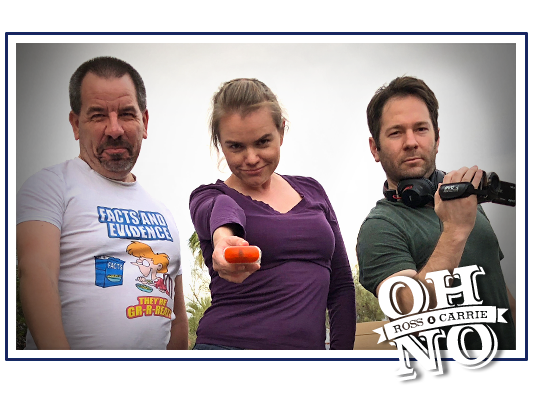 April 26, 2018 by Oh No Ross and Carrie.